This is why I love Melbourne; there’s always something on. Saturday night, Litsa & I took in Vienna after Dark at the NGV International — an art exhibit featuring the likes of Gustav Klimt and Egon Schiede and the musical theater of Mikelangelo and the Black Sea Gentlemen. 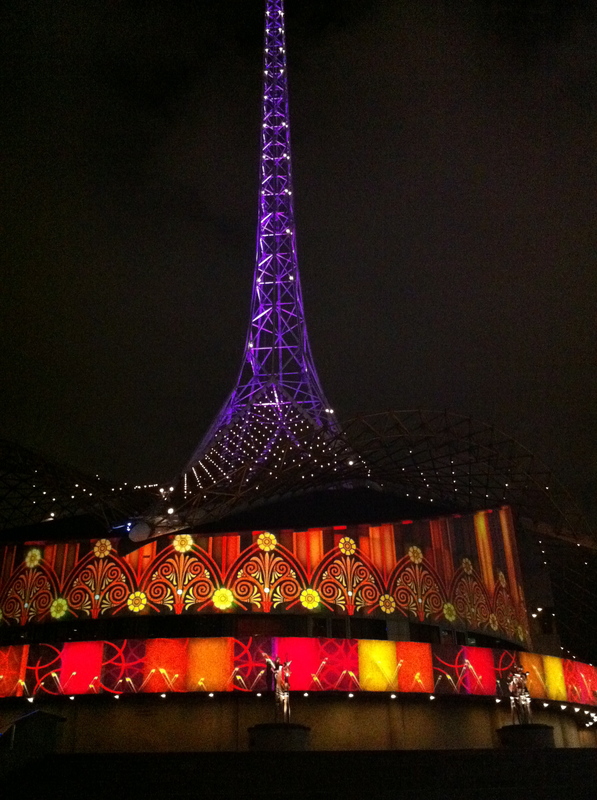 As we walked back to the CBD for another glass of wine, we noticed the buildings of the Art Centre lit up in a spectacular show. 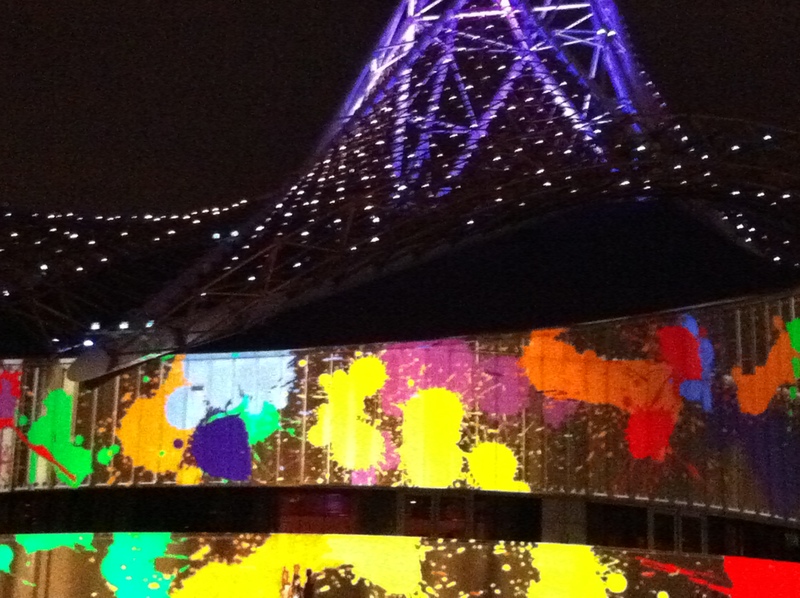 The Art of Conflict, a digital light works display utilizing the contours of the buildings themselves as a canvas, fittingly, from The Electric Canvas.